Home English Paripoornananda will benefit KCR or Naidu? Paripoornananda will benefit KCR or Naidu? As known, Swamy Paripoornananda has joined BJP officially yesterday. Paripoornananda met BJP president Amit Shah in Delhi and announced his joining the party. Paripoornananda is seen as Yogi Adityanath of Telugu states. 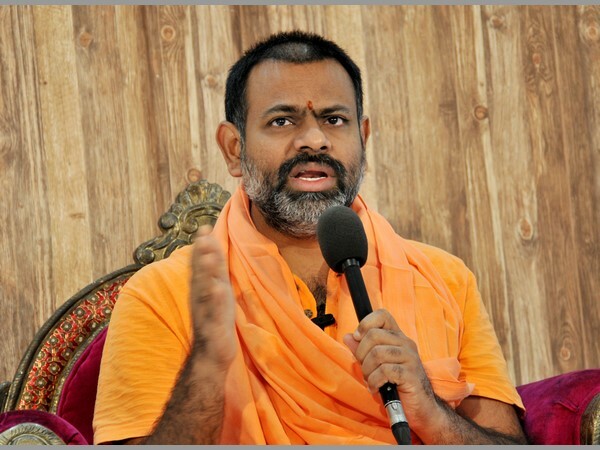 Swami is likely to contest from Jubilee Hills constituency of Hyderabad in upcoming Telangana elections. He is going to be CM candidate of BJP. Senior leaders of BJP are not so happy with party’s decision. Telangana CM KCR or TRS party doesn’t seem to concern a bit. On the other hand, Paripoornananda contesting in Telangana elections may affect TDP, congress and allies as Andhra settlers votes may be split. Ram Charan accepts Tarak’s Challenge.